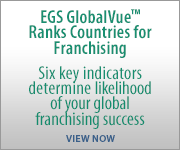 Our company is best known for helping franchisors find, qualify and sign international licensees. But, we also provide franchisors with international operations support such as new licensee startup, licensee compliance and audits in country. Additionally, we can assist in fixing, terminating when necessary and even replacing international licensees. Research indicates that up to 40% of all international licensees of franchisors do not reach their development commitments resulting in lower royalties for franchisors. We provide the only complete International Operations and Development Solution for Franchisors. In effect, we are the International Extra Strength Pain Reliever for Franchisors!!! International Development Services – Identify the best countries for a specific brand and then find, qualify and sign the most qualified international licensees. 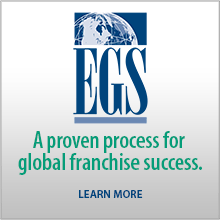 EGS provides this service on a global or regional basis, managing the Going Global process for our U.S. franchise Clients. GlobalAssess™ – Determines the readiness of a franchisor for going global and prioritizes markets around the world for their specific brand. GlobalCheck™ – Candidate vetting and background check service confirms the history and credibility of a potential international licensee company or individual. GlobalData™ – EGS’ database of international licensees, potential licensee candidates and multi-brand franchise companies to assist in finding licensees for our Clients. LicensePro™ – Defines the average unit revenues & expenses in a specific country for both the licensee and franchisor and projects Going Global revenue and expense over time. International Operations Services – Franchisor in-country operational support including new licensee startup, site selection, menu development, supply chain development, international licensee reviews, compliance, audits and resolving operational challenges. Operation Fixit™ – Fixing, upgrading, terminating when necessary and then replacing international licensees. International Market Research – EGS conducts country and sector specific research using our GlobalTeam™, in-country sources, international publications, EGS analysis, global databases and websites to generate cultural adaptation, sector and brand market research reports. International Consulting Services – One-on-one consultation with the world’s foremost experts in global franchising. Recently, my partner in the world for the past 50 years passed away. 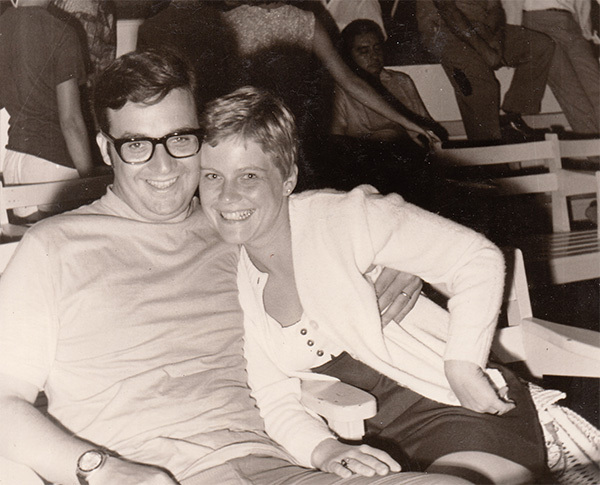 We met in March 1965 on a blind date set up by her sorority and my fraternity in the 2nd semester of our freshman year at St. Louis University. In June 1968 we were married on the south side of Chicago and the rest is, truly, a global story. Together we traveled to over 40 countries and lived in 5 countries. 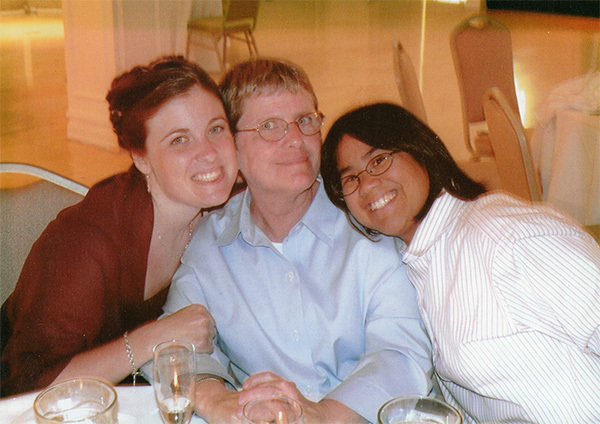 We adopted a daughter in Surabaya, Indonesia and have a daughter born in Anchorage, Alaska. Along the way we lived in many states in continental USA and in Alaska twice. We lived in 3 countries in Asia, in Turkey and in Eastern Europe. During many of the years we were posted outside the USA we had a home in Maui, Hawaii for our daughters and us to visit each summer during home leave. These living and travel experiences provided us, and our daughters, with an appreciation of the value of other cultures and what we have in our home country. Our lives were immensely enriched and changed by this experience. We made many good, longtime friends in all these places over the 40 years of our wanderings. My partner was the social one, which is why we have these friends across so many borders, languages and cultures. She was the one with the smile and easygoing approach. While I was doing oil and gas exploration and later developing franchises in various countries, my partner was doing social welfare work to bring better medical care and training to areas of the world that were trying to improve their lives and that of their families. Easygoing, but globally street smart! She traveled to small villages on the island of Java to train nurses and medical staff on how to help patients in small clinics and hospitals. One time even conducting medical staff training sessions in a leper colony. She visited small villages in central Turkey to help local women learn how to market authentic native crafts. She raised money among the foreign oil companies to rid orphanages in Ankara, Turkey of roaches. She even helped veterinary doctors in Hong Kong give physical therapy to race horses in Olympic sized pools. In Alaska, she developed burn therapy techniques with the U.S. Army that reduced treatment pain to Alaskan natives burned in their villages. We lived several times in the USA, and there my partner practiced physical therapy and managed large numbers of physical, occupational, speech and recreational therapist focused on geriatric medicine. Her bedside manner was exceptional as a clinician. And as a mother and wife! While I flew to over 70 countries on business, my partner raised our daughters with a strong sense of values, manners, responsibility and a belief from our time in many countries that all people and cultures are of equal quality, value and importance. In her mid-50s, at the height of her career and contribution to our lives and the larger world, she was diagnosed with early onset Alzheimer’s disease. The disease she and her medical teams had dealt with in hundreds of patients over the years. That was 12 years ago. The longest 12 years of her life, and that of our mine and our daughters. Now Nancy Edwards is at rest after a very long battle with this horrible disease. We, her adoring family and friends, are helping her live on to fight this disease by contributing to medical institutions focused on finding a cure for Alzheimer’s. 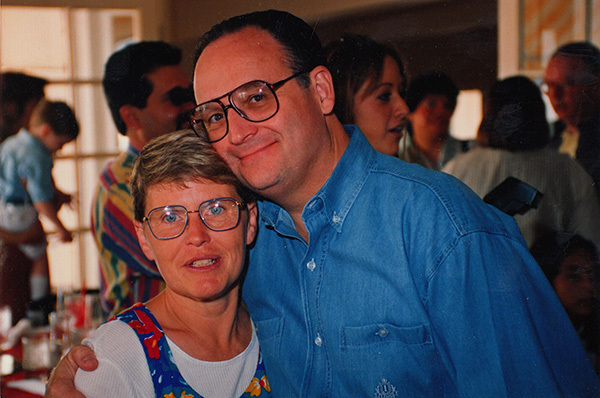 The Nancy Imlay Edwards Foundation has a website (www.nancyslegacy.org) that also seeks to educate the large world of our family on this disease. We were truly blessed to have Nancy as long as we did. But I have to ask: what could Nancy have done with those 12 years and many more to follow? Certainly much more than I could ever hope to accomplish. Thank you, my partner, friend, wife and lover, for enriching the lives of literally thousands of people on four continents. And for making Amy, Heather and me who we are. You are missed. By so many, in so many places, and in so many ways.